MAIN POWER:-1.0HP WITH GEAR BOX. 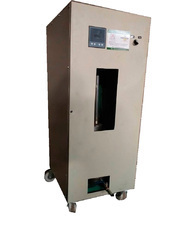 LENGTH OF INCENSE :-8" TO 12"
FREE:-TRAINING OF MACHINE OPERATION & GENERAL MAINTENANCE. WARRANTY:- 9 MONTHS IN MAIN MOTOR. Length (inch) 8" TO 12"
· Machine Speed: 800 Kg/8Hr. · Main Motor: 0.5 HP with gear box. · Machine weight: 80 Kg. 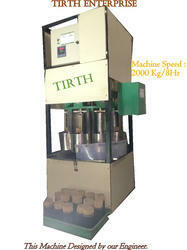 Production Capacity 800 Kg Per 8 Hr. Production Capacity: 800 Kg per 8 Hr. Production Capacity: 800 Kg. / 8 Hr. Machine design & Working Theory Copyright by Sohamtex Engineers. ¿¿¿ Machine Speed: 800 Kg/8Hr. ¿¿¿ Main Motor: 0.5 HP with gear box. ¿¿¿ Machine weight: 80 Kg. ¿¿¿ Free: Training of machine operation and general maintenance. Free: 1 tool set. ¿¿¿ Warranty: 9 months in Main motor. ¿¿¿ This machine is produced by our technical staff. Warranty 9 months in Main motor. ¿¿¿ Perfume auto refilling system. ¿¿¿ Machine Speed: 3000 Kg/8Hr. ¿¿¿ Dipping Hight:half dipping & full dipping. ¿¿¿ Machine weight: 200 Kg. 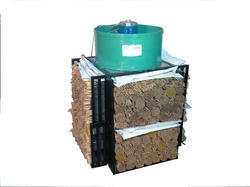 · Type of bundle: 1 kg Bundle, 4 Spindle. Dipping Hight:half dipping full dipping. This machine designed Copyright by our Engineer.